After the Second World War, the Catholic family communities of Zion, Beach Park, Winthrop Harbor and rural Northeastern Lake County experienced an accelerated population growth. Parishioners had to drive for miles to either the St. Patrick Church in Wadsworth, Illinois or the St. Anastasia Church in Waukegan, Illinois. The seeds of our Church were planted on Wednesday, November 16,1949 at the B. B. Pharmacy Dugout in Zion, Illinois. The purpose of this meeting of Catholic families was to discuss petitioning His Eminence, Samuel Cardinal Stritch, Archbishop of Chicago, for the establishment of a mission parish to serve the spiritual needs of the Catholic families of Northeastern Lake County. The first Mass of this newly formed Mission Parish, and the first Mass in the history of Zion was celebrated on October 2,1950, in the Zion Theater by Father Joseph Garrity, pastor of St. Anastasia. This was the beginning of our Mission Parish which then grew to 250 families by 1952. An eleven acre site and rectory was purchased on Wadsworth Road south of Zion and a small chapel attached to it. On July 9, 1954 the formation of the parish was announced in The New World. Father John E. Hayes, a former assistant at St. Mary Church in Des Plaines, Illinois, was appointed "to form a new parish in the vicinity of Zion." The name of the parish was chosen by Cardinal Stritch in keeping with the Marian Year then being celebrated and because of his affection for the title "Our Lady of Humility" - the same as that of the chapel in the old North American College in Rome where he had completed his studies. Planning for a school began shortly after the church was completed. Sisters of the Holy Child Jesus agreed to staff the school. Parishioners undertook a 3-year pledge campaign to finance its construction. The design of the 8 room building was in conformity with the church.Permission was given to construct the Church and the cornerstone was laid January 22, 1956 by Monsignor Joseph Garrity. The church was planned so it could be enlarged at a later date without disturbing the lines of the basic structure should the growth of the parish require it. The blend of line, material and decoration produced an atmosphere of warmth and quiet, conducive to devotion. The church was dedicated on November 18,1956 by Cardinal Stritch. On September 8,1958 classes began in the new Our Lady of Humility School for grades one to six. The student body was comprised of 146 children. Blessing of the school was done on May 24,1960 by Cardinal Meyer. The present enrollment of 275 students, includes a kindergarten that was added in 1974. With the loyal support of the parishioners and the Sisters of the Holy Child Jesus, the school has been able to maintain a high level of educational excellence. The complexion of the parish was and still is made up of many ethnic and racial backgrounds, blue and white collar workers, crafts persons and professionals. Their spiritual needs were initially ministered to by Fr. John Hayes with the assistance of such groups as the Women's Club, Mothers' Club and Men's Club. When money was needed, these and other groups would step in and develop, organize, and run a fundraiser to fill the financial needs. During Fr. Hayes' tenure as pastor, our school was threatened with closing because of a financial need and the possible loss of the Sisters of the Holy Child Jesus as faculty and staff. 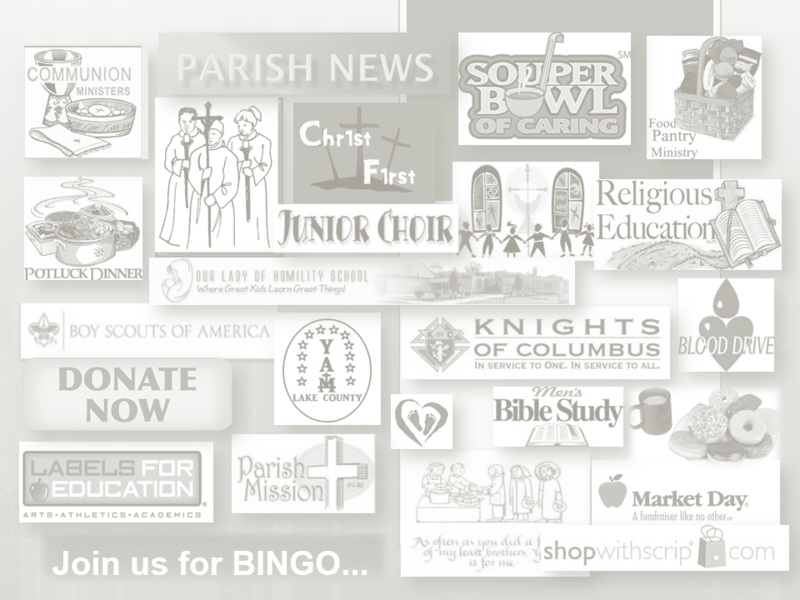 The parish support groups went to work looking for a fundraiser that would bring in the necessary funds to help with the support of both the church and the school. Bingo became the thing to do on a Saturday night. We've been very fortunate to have been able to share with Fr. Hayes many challenges over the years but also his fiftieth year as a priest, his seventieth birthday, and the burning of the initial mortgage!
. Fr. Carl Burlage was our weekend assistant from close to the very beginning of the parish, being "loaned" to us on weekends from his teaching assignment at Loyola University. He became a vital part of our spiritual family, a "grandfather" to all. He ministered to us as celebrant and confessor and even directed the OLH choir for a time. In October of 1989 Fr. 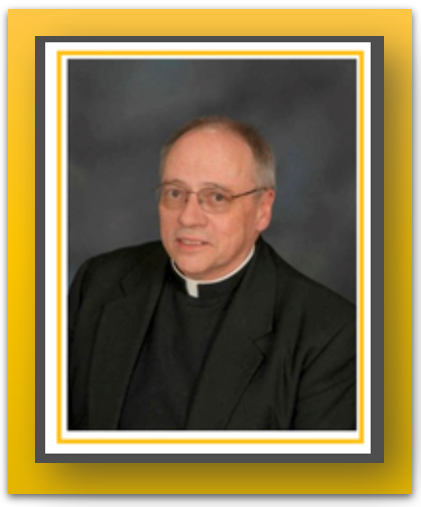 Burlage left us to become pastor of St. Mary of the Presentation Church in Geneva, Ind. Presently, Fr. Burlage is retired from full, active ministry and is living back in Chicago at a Loyola University Jesuit residence. Fr. Richard Maginot, who was a server for Fr. Hayes when he was a young boy and also a fellow assistant with Fr. Hayes in a shared assignment at St. Mary's in DesPlaines, was received by the parish as the first assistant to Fr. Hayes in July of 1968. Besides frequent visits and work with the school as well as many other parish duties, Fr. Maginot directed the CCD religious education program and initiated the NAIM group for widows and widowers (eventually becoming Lake County NAIM). Fr. Maginot moved on in June of 1975, and became pastor of St. Alphonsus in Prospect Heights in 1978. Fr. Joe Pastick was welcomed to the OLH parish family in 1975, and became involved in a multitude of parish activities, and his presence was enjoyed by the school and religious education students and faculty. In 1980, Fr. Joe Pastick moved on. He is retired and is now residing in Florida.In June of 1978 Fr. Hayes reached his 70th birthday, retirement age for secular priests in the Chicago Archdiocese. On December 25, 1999, Rev. John E. Hayes, founder and retired Pastor of Our Lady of Humility Catholic Church in Beach Park passed away . The Funeral Mass at Our Lady of Humility was said by Francis Cardinal George, O.M.I., and concelebrated by Bishops of the diocese, classmates, and priest friends on Thursday, December 30, 1999. Many parishioners with fond memories were in attendance for their Pastor Emeritus. Father Hayes (91 years old) was born on June 18, 1908. He was ordained a priest on April 22, 1933, at St. Mary of the Lake Seminary in Mundelein. 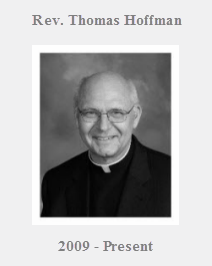 He served as associate Pastor at St. Jerome Parish in Chicago from 1933 through 1941; Precious Blood Parish in Chicago from 1941 through 1948; and St. Mary Parish in Des Plaines from 1948 through 1954. On July 9, 1954, he was appointed by Samuel Cardinal Stritch "to form a new parish in the vicinity of Zion." The name of "Our Lady of Humility" was chosen by Cardinal Stritch in keeping with the Marian Year then being celebrated. It was an indication of the Cardinal's affection for the Chapel of Our Lady of Humility in which he had prayed during his student days in Rome at the American College. Cardinal Stritch dedicated Our Lady of Humility Church on November 18, 1956, and gave the picture of Our Lady of Humility to the parish where it hangs in the vestibule of the church to this day. During Father Hayes' 24 year tenure as Pastor, the parish membership grew to more than 850 families. In July of 1978, Fr. Hayes retired as Pastor and was named Pastor Emeritus. In the Spring of 1983, he celebrated his Golden Jubilee as a Priest. Fr. Hayes has continued to watch this parish grow. Our Lady of Humility covers approximately 25 square miles making it one of the largest areas covered by a parish of the 380 parishes in the Archdiocese. 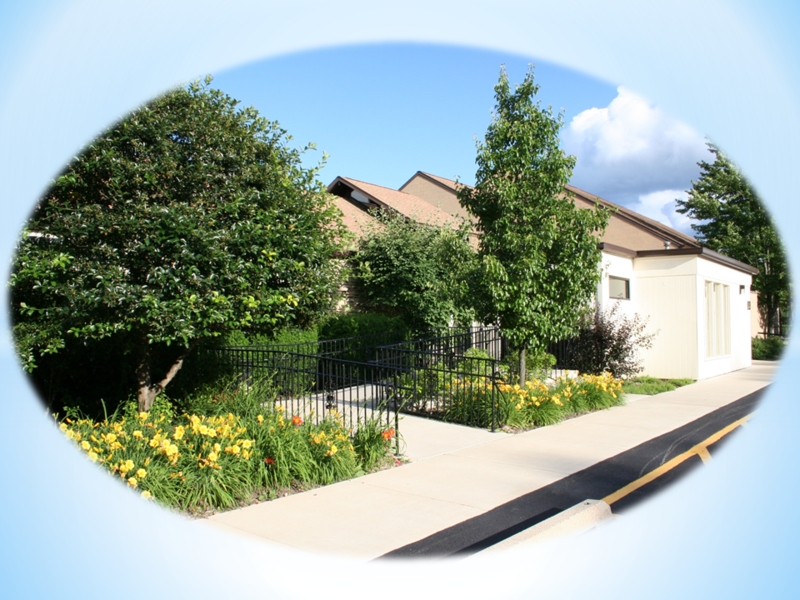 Since his retirement, Our Lady of Humility Parish has grown to 1,600 families to date. We are profoundly grateful to Fr. Hayes for founding and pastoring Our Lady of Humility Parish. He will be sadly missed by all. May he rest in peace. Fr. Edward J. Reading was appointed pastor of Our Lady on July 1, 1978. Fr. Reading's administration would develop, he would be responsible for the introduction of many new programs into the parish including the very successful Renew, which became a spiritual awakening for the parish. The following year, on October 21, 1979, the parish celebrated its Silver Jubilee with the highlight of the festivities being the burning of the mortgage. Fr. Reading was a firm believer in a strong religious education program, and convinced of the importance of having a full time director to carry out the extensive and ongoing work associated with such a program. Building on the volunteer foundations in the parish, he initiated a specific staff position of Director of Religious Education, which brought Diana Brown, active with the Sisters of St. Francis of Assisi in Milwaukee, to OLH in August of 1979. Over the years and through the present, Diana (now Jurista) developed the Religious Education Program from pre-school through Grade 8, and launched the OLH Religious Education Board to parallel the School Board. She also coordinates Evangelization, adult education/enrichment, Christian Initiation of Children and the Liturgy of the Word for Children. Realizing that with the steady growth of the parish, a larger building would be needed for an expanded staff, a fund drive was begun for a new parish administrative center and community room (which eventually was named the Hayes Community Room). A ground-breaking ceremony was held on June 15, 1980. Since the building was completed it has become over the years, the central office center and has provided one of the most used parish rooms for gatherings, bereaved luncheons, and a multitude of activities. Fr. Reading was thrilled with the greater opportunity for parish enrichment through this expanding of the parish usable space. The weekend of the ground breaking, Fr. Joe Curtis arrived at OLH as a new associate pastor. Fr. Reading, after just a few months of illness, died on December 26,1983. His funeral rites were celebrated by His Eminence, Joseph Cardinal Bernardin. Besides living memories, Fr. Reading's name will be with us in two memorials - the Reading Computer Center in the school and the Edward J. Reading Chapel within the Hayes Community Center. On April 1,1984, Lake County Episcopal Vicar, Bishop John G. Vlazny celebrated a liturgy of installation making Fr. Joe our new Pastor. As an associate, Fr. Joe became known for his work with the liturgy and liturgical ministries, as well as being a "singing and dancing" priest in our Las Vegas Showcases. (A bit unorthodox, but certainly lots of fun!) Now as pastor Fr. Joe would continue where Fr. Reading left off, and would concentrate on developing the consultation and parish planning processes. Enhancement of work with the Pastoral Staff and the development of a Parish Pastoral Council became a priority. Fr. 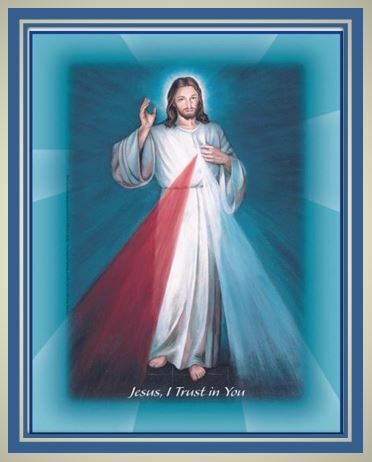 Joe, the staff and council soon decided to enter a new spiritual growth process called Christ Renews His Parish, and this renewal continues even now. Almost immediately after Fr. Joe became Pastor, Fr. Wayne Wurst arrived, guitar in hand, in time for Easter of 1984 as our new associate. Fr. Wayne's favorite ministries included visiting nursing homes, singing with and teaching children, working with social justice concerns, and always enjoying "free meals" with families of the parish. In June of 1988 he was assigned to St. Genevieve's Church in Chicago. Presently Fr. Wayne is residing at St. Mary of the Lake Seminary on special assignment. In the early months of his pastorate, Fr. Joe, together with the Parish School Board searched out candidates for a school principal, and a providential and inspired choice was made. Sr. Jane Roach, who had been a teacher at OLH from 1979-1983, became our new principal - maintaining a wonderful link to the heritage given us from the Sisters of the Holy Child Jesus. Sr. Jane not only is active in the multitude of school and school related functions such as Mother's Club, School Board, athletics, etc., but also manages to be involved in other parish functions such as the Folk Choir. Her "tender loving care" for her "school families" and all who belong to OLH parish family has endeared her to all of us. Sr. Mary O'Connell, who had already been teaching at our OLH grammar school for six years, became a Pastoral Associate on the parish staff in 1984 and has directed the RCIA (Rites of Christian Initiation of Adults) process for inquirers into the Catholic faith, and worked with our Ministers of Care to the Sick. Sr. Mary assists in liturgical planning for the school children, and liaison for liturgical planning for ceremonies connected with adults and children entering the Church. She also is a member of our Folk Choir and is involved in CRHP spiritual direction. Fr. Tim Fairman arrived during March of 1988. He was assigned as weekend associate while completing his studies for his Licentiate of Sacred Theology at St. Mary of the Lake Seminary. He was ordained a priest on May 21, 1988 by Cardinal Bernardin, and out of deference to his desire to remain at OLH, he was assigned as full-time associate pastor. Besides a multitude of regular priestly ministries, his involvement over his years here include special attention to young adult & junior high ministry, being Catholic chaplain at Midwestern Regional Medical Center, planning fundraising events like "Cruisin' the Nile", and a frequent spiritual director for CRHP. His dog "Leo" has now become a side attraction for our school children and an early morning diversion for our pastor. After more than two years of preparation and planning, Fr. Joe commissioned the Parish Pastoral Council of Our Lady of Humility Parish on Christ the King Sunday, November 20, 1988. The Parish Pastoral Council exercises shared responsibility for the pastoral life of the parish under the leadership of the pastor. 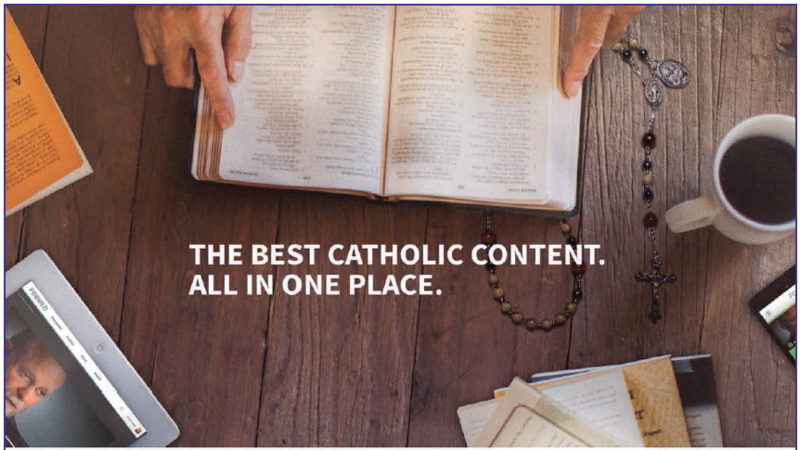 Besides major collaboration with the pastor and staff which launched the present Building and Grounds development appeal and planning process, the PPC is presently involved in ongoing development of four parish commissions to attend to the needs - present and future - in the four major areas of parish life: Spiritual Life, Catholic Education, Human Concerns, and Parish Life. A few years later, in April 1992, our third deacon, Mike Mercure, and his wife, Laurie, celebrated his diaconate ordination and we added a third couple to our OLH staff. Mike, who is employed full-time at Abbott, manages to find time to be involved in a number of parish areas. Mike is a regular consultant to our Finance Council and pastor, volunteers his accountant skills for our official parish budgets and finance reports, as well as working with our parish data system and its various programs. Mike enjoys working with the baptismal preparation program, liturgical functions and a variety of parish activities as deacon and parishioner. Laurie is our part-time bookkeeper, who facilitates our bereavement luncheons and enjoys getting to know as many parishioners as she can. He was appointed Pastor of Our Lady of Humility in 1998. Father David James Mulvihill was ordained a Catholic Priest in Mundelein, Illinois, for the Archdiocese of Chicago, by John Cardinal Cody on 10 May 1972. His early studies were at the University of St. Mary of the Lake, Mundelein, Illinois, where he received his B.A. and M. Div. degrees. He holds the Diploma in Etruscology and Italic Antiquities from the University of Perugia (1971). His Doctorate in Canon Law (J.C.D.) was earned at the Gregorian University, Rome, in 1990. He is Commander of the Equestrian Order of the Holy Sepulchre of Jerusalem, and earned the Pilgrim Shell. He has served the Church of St. Benedict (Chicago), the Church of St. Christina (Chicago), and the Church of St. Odilo (Berwyn). He was appointed Pastor of the Parish of Our Lady of Humility in 1998. The parish encompasses the towns of Winthrop Harbor, Zion, Beach Park and part of Waukegan, Illinois, with 1,500 families, 450 religious education students, 250 full-time Catholic School students, 4 nursing homes, and several hospitals. He also serves as a Judge for the Court of Appeals of the Catholic Province of Chicago, Illinois. He is active in Rotary International, and in July 2002 the Rotary Foundation honored him as a “Paul Harris Fellow”, with a citation and a gold medal. In July 2009, Rev. Thomas Hoffman was appointed as the Our Lady of Humility Parish’s fifth pastor. Father Hoffman brought to the parish knowledge and experience of parish life and a willingness to serve a dedicated catholic community. Upon his arrival, Father Tom found a community proud of its history with a spirit of collaboration and a sense of pride. On his brief visits before settling in Father Tom had observed several areas that he felt needed attention. He began to address several goals. His highest priority was to see the school, the parish and religious education working joyfully together to celebrate a common identity – a faith in God.Father Tom energetically worked to create a parish environment which would welcome all people. He wished to incorporate all parishioners into one community. All parish offerings were to reflect this reality. Father Tom brought the three entities together to work on a parish mission, to build a church in Uganda. Everyone from the school children to the seniors of the parish contributed to this opportunity to build an attitude of sharing faith with people around the world. Recognizing an appreciation of the existing power present, Father Tom encouraged better communication between the various ministries of the parish to enable the parishioners to integrate their talents and to be reflective in the fabric of their daily lives. Father Tom also addressed his goal to replace the school’s use of mobile class units by bringing all students under the same roof with a permanent addition to the existing school structure. The preschool students were moved from the Holy Child Center into the school building, a much safer environment for the little ones and thereby also increasing the usable parish meeting space. Updating to the Church basement was already in progress and updating to the school building was accomplished during summer breaks. The addition to the existing school structure was necessary and architectural plans were submitted. These plans have been delayed due to the discovery of an outdated heating oil container found submerged under the planned addition’s building site. The parish, being good stewards, has set about the environmentally necessary cleanup. Plans for the addition will continue. During this time our Parish was blessed with the presence of Rev. Charles Ssennyondo, priest in residence and Rev. Valerian Laini, a retired priest. Their contributions, graciously given, have been greatly appreciated. 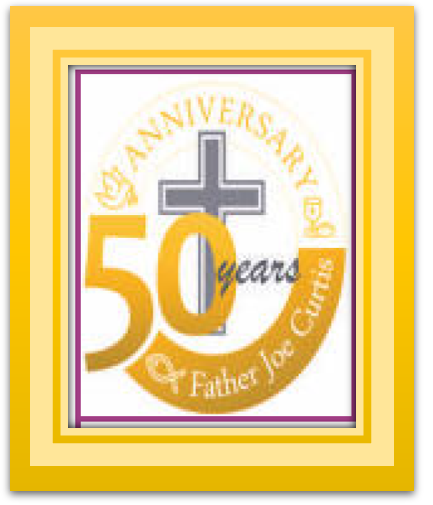 As the parish prepares to celebrate its 60th anniversary in 2014, we reflect on the activities of the past and look to the challenges of the future. Ever grateful to and strengthened and enriched by the legacy of its community, empowered by the Holy Spirit, and under the spiritual direction of its pastor, Our lady of Humility Parish looks to the future with a renewed commitment towards its vision and its mission.